In December for the last few years since we developed these Mobile, Backlit Billboards. 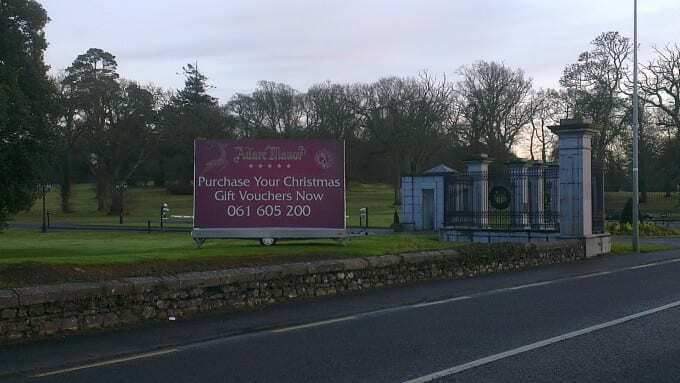 Adare Manor have been quick to see the benefits in using them. Without the need for planning, 5mx3m is big, double sided and temporary they can be quickly unhitched, easily secured and plugged in. This campaign was in place in time for the Christmas Voucher rush. Position was important so as to get the Limerick-Adare traffic on approach. It was removed without much ado as scheduled 3rd January.